It’s time for more fall baking! 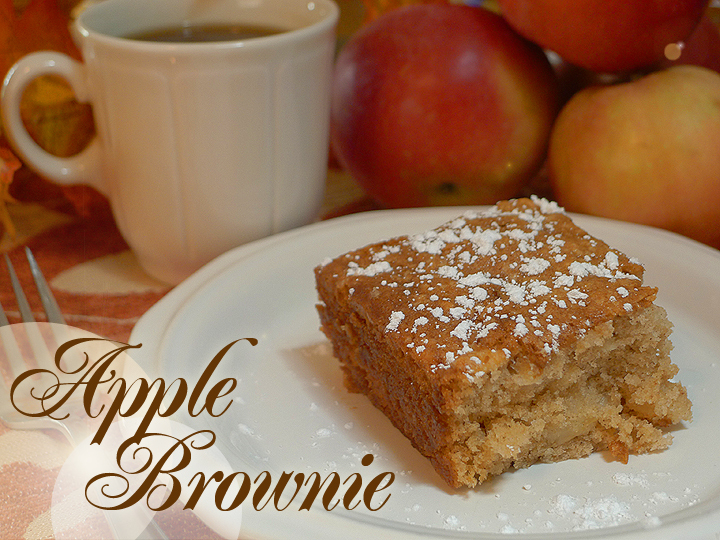 This time I’m using fresh McIntosh apples (my all-time favorite apple) from the local farmer’s market, in these amazing and super-easy Apple Brownies. – Preheat oven to 350 degrees F. Grease a 9×9 inch baking dish. – In a large bowl, beat together the melted butter, sugar, and egg until fluffy. Fold in the apples. – In a separate bowl, sift together the flour, salt, baking powder, baking soda, and cinnamon. – Stir the flour mixture into the wet mixture until just blended. – Spread the batter evenly in the prepared baking dish. – Bake 35 minutes in the preheated oven, or until a toothpick inserted in the center comes out clean. Enjoy with some nice Pumpkin Spice coffee! This entry was posted in cooking, dessert, recipes and tagged apple, baking, brownie, dessert, recipe. I am addicted to Pinterest. Here is another fun and easy recipe I discovered yesterday. 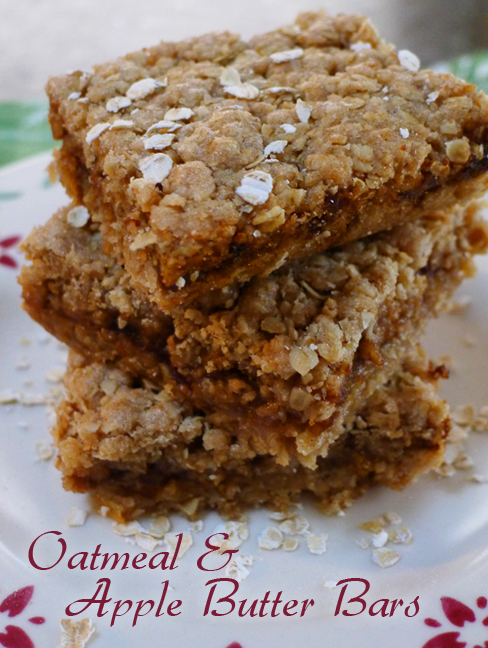 These are perfect for a fall day and super easy to whip up. The whole family will devour them in minutes. Preheat oven to 400 degrees. Grease mini-muffin pan. Combine baking mix. 1/4 c. sugar and 1 t. cinnamon. Stir in applesauce, milk, egg and oil until well mixed. Fill muffin pan until each muffin is 3/4 full. Bake at 400 for 10 min. While that is baking, mix 1/2 c. sugar with 2 t. cinnamon in a bowl. When the puffs come out of the oven and cool for just a few minutes, dip the tops of the warm puffs in bowl of melted butter and then drip them in the bowl of cinnamon sugar. Eat, share and enjoy! 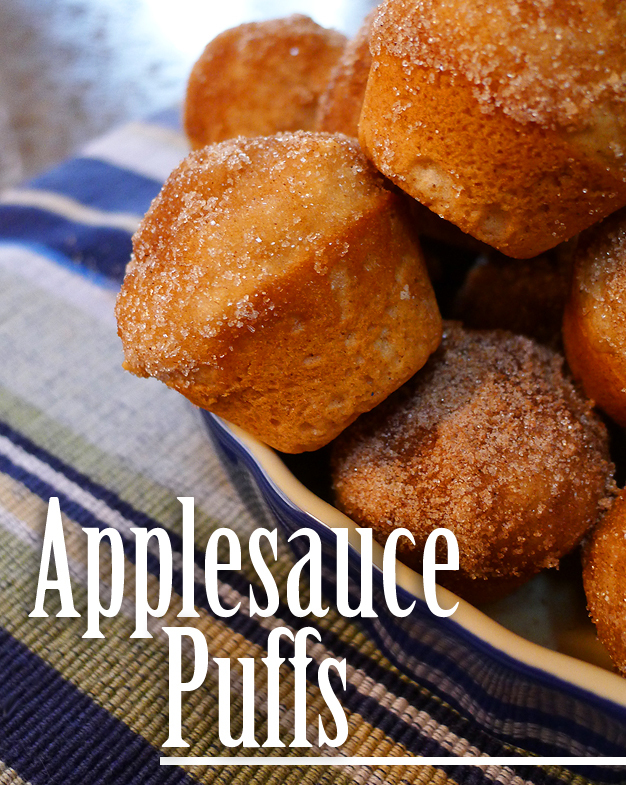 This entry was posted in dessert, recipes and tagged apple, applesauce, baking, cooking, dessert, puffs, recipe. One word: Yum. These were incredible and so simple to make. Another great find from Pinterest! ¾ cup butter, softened to room temperature. Pre-heat oven to 350 degrees. Grease 9-inch square baking pan with non-stick cooking spray. In large mixing bowl, combine oats, flour, sugars, salt and cinnamon. Add butter and stir until well mixed. Spread half of the mixture into baking pan and pat down until it is flat. Spread the apple butter evenly over crumb layer. 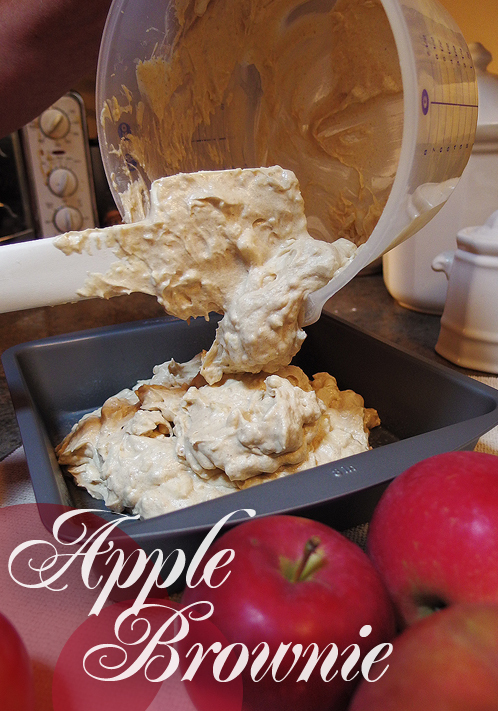 Sprinkle remaining crumbs over apple butter and press down gently. Bake 30-35 minutes or until golden. Transfer pan to wire rack and cool completely. Enjoy! This entry was posted in cooking, dessert, recipes and tagged apple, cooking, dessert, oatmeal, recipe.